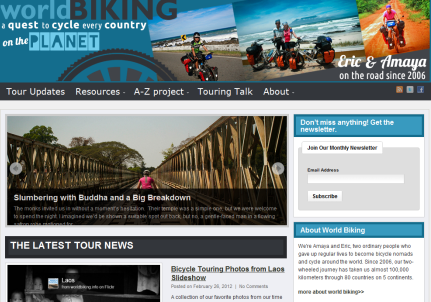 Asia Bicycle Touring Blogs – Go Bicycle Touring! Southeast Asia is one of the world’s top tourist destinations and now there’s a website focused exclusively on bicycle touring in this region. Australian James Williams, who’s now based in Bangkok where he operates Grasshopper Adventures, is behind the site.